Read all about the 100YSS team members and initiatives making headlines in the news. LOS ANGELES, September 15, 2017 – Tonight, Dr. Mae Jemison the world’s first woman of color in space will oversee the launch of the LOOK UP worldwide initiative during the celebration of the 25th anniversary of her spaceflight in 1992. Notables signing onto the goals of LOOK UP with Jemison, an engineer, physician, social scientist and NASA’s first African American woman astronaut, include: LeVar Burton; Nichelle Nichols; Jill Tarter, Ph.D.; Halfu Osumare, Ph.D.; Amy Millman and Springboard Enterprises; MAKERS; Bayer Corporation; Scholastic, Inc.; 100 Year Starship; and, Yuri’s Night. LOOK UP is purposefully designed to build momentum and evolve as individuals and organizations around the globe are connected, propose and develop LOOK UP activities in schools, workplaces, communities and nations that will highlight what they learn from the sky. The LOOK UP platform will facilitate these activities and the creation of a tapestry of the images, observations and activities that are woven together and can be accessed globally. The LOOK UP website, www.lookuponesky.org will “go live” tonight and individuals and groups are urged to sign up to receive updates, challenges, opportunities and news, as well as to become part of the LOOK UP global community. Jemison and colleagues from 100 Year Starship have been developing LOOK UP for over a year and believe it is critical in the world today to offer this platform to engage people across cultures, nations and economies in order to facilitate understanding and contributing to our shared future. To LOOK UP and build a better, robust path forward that includes and benefits us all. Audacious and pioneering, polymath Dr. Mae Jemison is a leading voice for science, social responsibility and innovation. Jemison leads 100 Year Starship®, a global initiative that is pushing the frontiers of space exploration – ensuring human interstellar travel in 100 years. The world’s first woman of color in space, she is committed to applying advance space technology to enhance life on Earth. 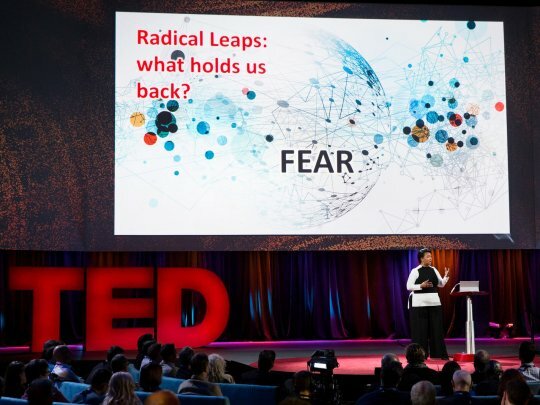 Dr. Jemison draws upon her experience as a physician, inventor, environmental studies professor, science literacy advocate, development worker in Africa and founder of two tech start-ups. Recently, LEGO announced her as one of five Women of LEGO NASA kit. She is the 2016-2017 Poling Chair at Indiana University’s Kelley School of Business. 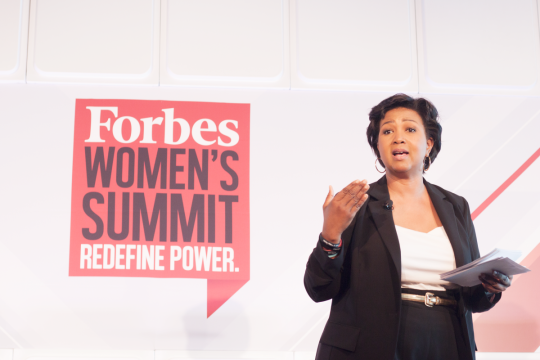 A member of Fortune 500 boards, the National Academy of Medicine and the National Women’s Hall of Fame, Dr. Jemison was voted one of the top seven women leaders in a presidential ballot straw poll and was the first astronaut to appear on Star Trek. Dr. Jemison lives in Houston and is still learning important life lessons from her cats. For more information, visit www.drmae.com. 100 Year Starship™ (100YSS) is building a global community to ensure that the capabilities for human interstellar travel beyond our solar system exist as soon as possible, and definitely within the next 100 years. 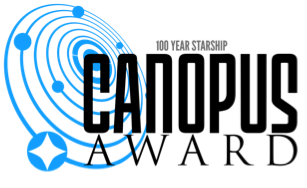 An independent, non-governmental, long-term initiative, 100YSS was started in 2012 with seed-funding through a competitive grant from DARPA (Defense Advanced Research Projects Agency) to foster the type of explosive innovation and technology and social advances born from addressing such an audacious challenge. To bolster such innovation, 100YSS has programs and projects include research and innovation, across the physical and social sciences, the arts, entrepreneurship and education. Based in Houston, 100YSS collaborates with international organizations, companies, universities and individuals including affiliate in Brussels, partnerships in Africa and Asia. For more information, visit www.100yss.org. HOUSTON/LOS ANGELES, September 5, 2017 — 100 Year Starshipâ (100YSSâ) will announce the winners of the 2016-2017 Canopus Award for Excellence in Interstellar Writing on Saturday, September 16 at Nexus 2017 – the space gathering to engage people of all walks of life – at the Le Meridien Delfina Hotel in Santa Monica, Calif. The Canopus Award is a writing prize recognizing the finest fiction and non-fiction works that engage broad audiences and enhance the understanding excitement and knowledge of interstellar space exploration and travel. It is a key project of 100YSS, the independent, inclusive, long-term global initiative led by former astronaut Dr. Mae Jemison to ensure the capabilities for human travel beyond our solar system exist within the next 100 years. And, every step of the way, to apply the innovations and ideas from space exploration to improve life here on Earth. In April, 100YSS named the finalists in Canopus’ six fiction and non-fiction categories. These finalists will join other award-winning authors, as well as social and physical scientists, as the winners are honored during Science Fiction Stories night. One of 100YSS’s most popular Nexus events, Science Fiction Stories Night brings together some of the most creative minds in science fiction to help fuel the imaginations and possibilities for current and budding science fiction writers. Organized and sponsored by 100YSS, Nexus 2017 is the space gathering designed to engage people from all walks of life. It is a powerful three-day event open to the public. Attendees will be actively engaged by speakers, expert in array of fields, in seminars, interactive workshops and challenges, classes, receptions, networking, attendee presentations in the Idea Pools, celebrations and awards. Nexus is an evolution of the four prior public symposiums 100YSS has held since its inception in 2012. With its bold declaration, “Space. Radical. Vital. Down to Earth.,” Nexus invites everyone – artists and engineers, physicians and philosophers, rocket scientists and lawyers, financiers and storytellers, space enthusiasts and professionals, dancers and educators, young and old – to share and apply their unique experiences, skills and passions to commit to pursuing an extraordinary tomorrow, while building a better world today, both on Earth and in space. HOUSTON/LOS ANGELES, August 28, 2017 – 100 Year Starshipâ (100YSSâ) announced today it will host Nexus 2017 – the space gathering designed for people from all walks of life – in Greater Los Angeles from September 14-17, 2017 at the Le Meridien Delfina Hotel in Santa Monica, Calif. 100YSS is the independent, inclusive, long-term global initiative led by former astronaut Dr. Mae Jemison to ensure the capabilities for human travel beyond our solar system exist within the next 100 years. And, every step of the way, to apply the innovations and ideas from space exploration to improve life here on Earth. Nexus 2017 is a powerful three-day event open to the public. Attendees will be actively engaged by speakers, expert in array of fields, in seminars, interactive workshops and challenges, classes, receptions, networking, attendee presentations in the Idea Pools, celebrations and awards. Nexus is an evolution of the four prior public symposiums 100YSS has held since its inception in 2012. Nexus 2017 promotes experiences. Attendees will engage in hands-on, transdisciplinary approaches that stretch their imaginations. While considering today’s cutting-edge technology and the possibilities of the future, attendees will be challenged to discuss and take action on thought-provoking frontiers of science, civilization, culture, space, technology, society and culture, both now and in the future. Featured speakers include William Welser IV, Director of Engineering and Applied Science, RAND Corporation; Robert Franklin, Ph.D., President Emeritus, Morehouse College; Mike Perschon, Ph.D., English professor, MacEwen University, Canada (aka the Steampunk Scholar); Stephane Gres, Ph.D., Universite de Technologie de Compiegne, France; Karl Aspelund, Ph.D., Textiles professor, University of Rhode Island; Ronke Olabisi, Ph.D., Bioengineering professor, Rutgers University; and, Kurt Zatloukol, M.D., Medical University of Graz, Austria. Artificial and Human Intelligence, Design Strategies, Sate of the Universe, Becoming an Interstellar Civilization, Modeling Health and Human Behavior, Women in Aerospace Industry and Radical Leaps are among the topics to be addressed. 25 Strong! Celebrating the 25th Anniversary of Dr. Mae Jemison’s Historic Spaceflight (Friday night, September 15): Held under the Space Shuttle Endeavour at the California Science Center in Los Angeles, 25 Strong! will explore what becomes possible when we bring together the extraordinary— space exploration— with compassion, innovation, creativity and social commitment to an audacious, inclusive future. Attendees will walk the “Milky Way” and be a part of the launch of a worldwide global movement. Grammy-nominated singer/songwriter Aloe Blacc and Kenji Williams & Bella Gaia will perform. Science Fiction Stories Night & the Canopus Awards (Saturday night, September 16): One of 100YSS’s most popular events, the evening will feature the announcement of the winners of the second Canopus Awards for Excellence in Interstellar Writing™, as well as discussions and book signings with award-winning authors and social and physical science experts. HOUSTON, April 11, 2017 — 100 Year Starshipâ (100YSSâ) today named the finalists in the 2016-17 Canopus Award for Excellence in Interstellar Writing. The Canopus Award is a writing prize recognizing the finest fiction and non-fiction works that engage broad audiences and enhance the understanding excitement, and knowledge of interstellar space exploration and travel. Winners will be announced and honored at the 100YSS Nexus on Saturday, August 12 in Los Angeles. Award category finalists are as listed below. 2030 is not only the deadline for the implementation of the Sustainable Development Goals but also the target date for a manned American mission to the planet Mars. Many would say that implementing a Sustainable Development Agenda on planet earth was a tall order but to paraphrase Oscar Wilde, while we may all be in the gutter - some of us are looking at the stars. One of those who is looking at space is Dr. Karl Aspelund, an Icelandic-American researcher at the University of Rhode Island. 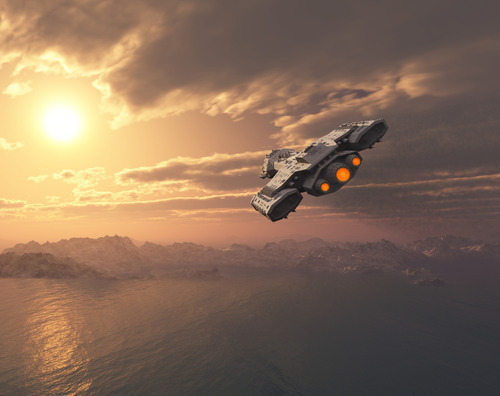 Aspelund is a member of a group of space enthusiasts called 100 Year Starship, which advocate human space flight beyond the solar system by 2112 and a manned mission to Mars is a first step. 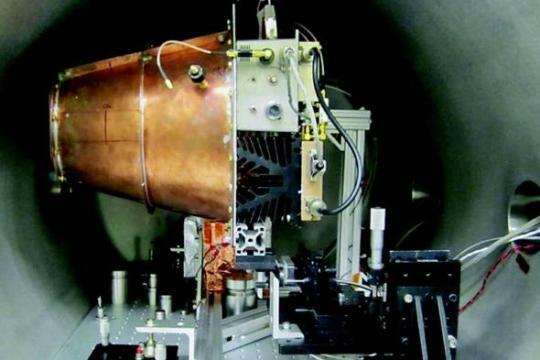 NASA Team Claims ‘Impossible’ Space Engine Works - Get the Facts. Another Earth could be circling the star right next door to us. Astronomers announced on Wednesday that they had detected a planet orbiting Proxima Centauri, the closest neighbor to our solar system. Intriguingly, the planet is in the star’s “Goldilocks zone,” where it may not be too hot nor too cold. That means liquid water could exist at the surface, raising the possibility for life. Although observations in recent years, particularly by NASA’s Kepler planet-finding mission, have uncovered a bounty of Earth-size worlds throughout the galaxy, this one holds particular promise because it might someday, decades from now, be possible to reach. It’s 4.2 light-years, or 25 trillion miles, away from Earth, which is extremely close in cosmic terms. HOUSTON, July 6, 2016 — The 2016 100 Year Starship (100YSS) Canopus Award for Excellence in Interstellar Writing is now open for submissions through August 30, 2016. The annual prize recognizes the finest fiction and non-fiction works that expand our understanding of the challenges, opportunities, pitfalls and rewards of interstellar space exploration. This year’s theme, “Near Steps to Interstellar,” explores what steps can or must be accomplished in the next five to 10 years to ensure successful human travel beyond our solar system to another star. Achieving the capabilities for a human interstellar journey by 2112 will demand discontinuous, radical advances. It also will require incremental progress be made in our knowledge of engineering, economics, social structures, biological systems, sustainability and commitment. Finally, the reality is that the vast majority of people and their descendants will remain on Earth. So, all along the way, how will the advances we make to get to the stars be exploited and impact life on Earth, our home planet? The Canopus Award’s namesake is the second brightest star in the night sky. The star Canopus has occupied a central role in the human journey over millennia—from an auspicious herald of planting seasons to a major navigation star for civilizations from the Bedouins of Sinai to the Voyager probe. The Canopus Award is a key program of 100YSS, an independent, long-term international initiative to ensure that the capabilities for human interstellar travel, beyond our solar system to another star, exist within the next 100 years. 100YSS led by former astronaut, engineer, physician and entrepreneur, Dr. Mae Jemison, together with advocates, researchers, industry experts and everyday people from all walks of life is building a global community capable of realizing this audacious journey. This year’s Canopus Award will be made in seven categories. The first three categories are for Previously Published Works with awards made for Long Form Fiction (40,000 words or more), Short Form Fiction and Popular Non-Fiction (between 1,000 and 40,000 words). The categories for Original Works are based on this year’s 100YSS theme “Near Steps to Interstellar”. Awards will be given for Original Short Form Fiction (1,000-6,000 words) and Original Short Form Non-fiction (1,000-6,000 words). In addition, two new award categories are being introduced this year for Original College Works, including Original College Short Form Fiction (1,000-5,000 words) and Original College Short Form Non-fiction (1,000-5,000 words). Prizes include a spectacular crystal award, cash, publication, sponsorship to 100YSS special events and programs. 100YSS is currently accepting submissions of Original Works and nominations for Previously Published Works until August 30, 2016. Five finalists will be selected from each of the seven award categories and will be announced in September. Canopus judges will then select one winner from each list of finalists. Winners will be announced and honored during a special award ceremony at 100YSS’ annual public event. According to Canopus Award director Jason Batt, 2016 will also include an opportunity for a glimpse at the contributions that visual, digital and musical art make to shape the future. Exact details will be released in August 2016. For more information about award criteria, nomination and submission, visit http://canopus.100yss.org. To nominate or submit works to the Canopus Award, visit http://canopus.100yss.org. 100 Year Starship™ (100YSS) is an independent, non-governmental, long-term initiative to ensure the capabilities for human interstellar flight exist as soon as possible, and definitely within the next 100 years. 100YSS was started in 2012 with seed-funding through a competitive grant from DARPA (Defense Advanced Research Projects Agency) for the purpose of fostering the type of explosive innovation and technology and social advances born from addressing such an incredible challenge. To foster such innovation, 100YSS engages in collaborative international programs and projects in research and innovation, science, technology, engineering and mathematics (STEM) capacity building, entrepreneurship and education projects with and between organizations, companies, universities and individuals. Programs and projects include yearly public gathering, 100YSS Cruciblesä expert workshops to jump start new disciplines, envisioning Center for Advanced Aerospace Manufacturing, public outreach and advocacy, membership and educational. Based in Houston, TX, 100YSS recently opened an affiliate in Brussels, [email protected] and is in the process of developing affiliates in Africa and Asia. 100YSS is part of the Dorothy Jemison Foundation for Excellence. For more information, visit www.100yss.org. Mae Jemison is probably best known as the first black woman to go to space. But now she’s working on an even bigger goal: Sending humans beyond our solar system. The 100 Year Starship project was launched with a grant from DARPA in 2011 and one goal: “to make the capability of human travel beyond our solar system a reality within the next 100 years.” And Jemison is the person in charge, doing everything from organizing symposia to finding researchers. The goal really is to get humans on the course to the next star within 100 years. But even more than that, the project is about drawing attention to the importance of basic research, getting people excited about science and finding novel solutions to problems we didn’t even know we had. Dr. Mae Jemison, an American astronaut and physician, gave the University’s annual Sturm Memorial Lecture on Tuesday, April 19 in the Ring Family Performing Arts Hall, followed by a reception and observing session at Van Vleck Observatory. Her talk, “Exploring the Frontiers of Science and Human Potential,” focused on her devotion to her 100 Year Starship Project, of which she is the principal, aiming to make human travel to another star within the next century. Jemison is the first African American woman to have ventured into space aboard the Space Shuttle Endeavour and is a dogged promoter of STEM education. “Her leadership and vision provides guidance and direction for the foundation and in fulfilling its goal of ensuring all the capabilities for a successful human journey to another star will exist by 2112,” reads Jemison’s biography on the 100 Year Starship website. Throughout her talk, Jemison emphasized the the significance of interstellar travel, arguing that such expeditions are worthy endeavors to undertake. One of the main obstacles to space voyages, she explained, involves preparing for the uncertainties that exist with respect to interstellar travel. Jemison addressed her concern that while astronomers are in tune with the need for space exploration, it is often more difficult for the public to see the importance of venturing into space since it appears to be far removed from their daily lives. To change this perception, Jemison explained the need to involve a large and diverse population of individuals to assist in the effort of traveling into the unknown. Countries with robust space programs incorporate inclusive and transdisciplinary philosophies to achieve their goals, which helps make their research relatable to a larger audience. Abby Shneyder ’17, who is currently working on the Under Connecticut Skies project creating a museum exhibit to honor the last 100 years in astronomy, particularly enjoyed the way Jemison interacted with the audience during her lecture. Simulating the kinds of decisions and planning that go into a long-term space mission, she polled audience members, asking them to make seemingly mundane choices to demonstrate the depth of detail involved in such an endeavor. “All of these questions, while ultimately fun to think about, underlined the connections between imminent space travel and current technological innovations and development,” Shneyder wrote in an email to The Argus. At a more emotional level, Shneyder was excited to be learning about astronomy from someone who has actually been to space. Drawing on her experience working with the Under Connecticut Skies project, Shneyder shared her excitement about being able to simultaneously look into the past and peer into the future of astronomy. “Throughout the talk, I felt like I had rather luckily found myself at a particular pivot point in history, able to see both 100 years back into the past and 100 years forward into the future,” she wrote. Melissa Joskow ’18, another student working on the Van Vleck historical exhibition project, particularly appreciated the way Jemison handled addressing a lay audience. Each spring, the Sturm Lecture features a speech by a distinguished astronomer with the goal of stimulating public interest in the sciences. Free of charge, it is sponsored by the Astronomy Department, the Allbritton Center for the Study of Public Life, the Baldwin Lecture Fund, and the Connecticut Space Grant Consortium. This year’s Sturm Lecture is also part of the Astronomy Department’s ongoing celebration of the Van Vleck Centennial. This is not your granddad’s moonshot. Russian billionaire Yuri Milner and physicist Stephen Hawking have announced Breakthrough Starshot, a $100-million initiative to develop spacecraft that would send probes all the way to Alpha Centauri, the nearest star system. These nano-craft would have to travel roughly a thousand times faster than current spacecraft – and would also be much smaller, consisting of a light sail and a chip that could fit in your cellphone. That’s a big job for some tiny tech. 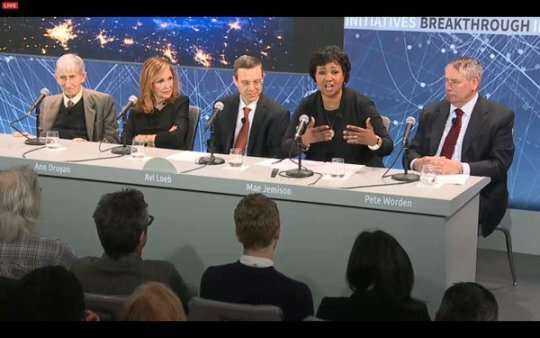 “Collectively we as humans are at a point in which, technologically, there’s at least one feasible path to getting to another star within our generation,” former NASA astronaut Mae Jemison said at a news briefing Tuesday at the One World Observatory in New York City. Jemison now leads the 100 Year Starship project, which fosters research into the necessary technology for interstellar travel. Over the 20th and 21st centuries, humans have been sent as far as the moon and spacecraft have ventured much farther – to Mars, to Pluto and in the case of NASA’s Voyager spacecraft, into interstellar space. But even Voyager, traveling around 40,000 mph, has centuries to go before it enters the Oort Cloud ringing our solar system’s fringes – and tens of thousands of years more to emerge from it. Visiting the nearest star is another challenge entirely. Before we can launch a ship carrying some part of humanity’s population to a faraway star, perhaps to colonize a new planet (maybe Kepler-452b? ), there are a lot of technological, scientific, and societal challenges we need to figure out. But those challenges shouldn’t prevent us from even trying. Instead, we should work develop solutions as soon as possible. Along the way, we might find that these same solutions will address some of the greatest problems facing us here on Earth, like how we can survive and thrive with limited resources, a changing climate, new diseases, and growing population. That’s what the 100-Year Starship program is all about. The NASA and DARPA funded project, launched in 2011, is supposed to make humans capable of voyaging beyond our solar system within the next 100 years. $100 million research and engineering program will seek proof of concept for using light beam to propel gram-scale ‘nanocraft’ to 20 percent of light speed. A possible fly-by mission could reach Alpha Centauri within about 20 years of its launch. Mark Zuckerberg is joining the board. New York – Tuesday, April 12 – Internet investor and science philanthropist Yuri Milner was joined at One World Observatory today by renowned cosmologist Stephen Hawking to announce a new Breakthrough Initiative focusing on space exploration and the search for life in the Universe. Breakthrough Starshot is a $100 million research and engineering program aiming to demonstrate proof of concept for light-propelled nanocrafts. These could fly at 20 percent of light speed and capture images of possible planets and other scientific data in our nearest star system, Alpha Centauri, just over 20 years after their launch. Ann Druyan, Freeman Dyson, Mae Jemison, Avi Loeb and Pete Worden also participated in the announcement. Today, on the 55th anniversary of Yuri Gagarin’s pioneering space flight, and nearly half a century after the original ‘moonshot’, Breakthrough Starshot is launching preparations for the next great leap: to the stars. As a species, we have long looked to the stars. They have provided navigational guidance, spurred our imaginations, and inspired us to explore. 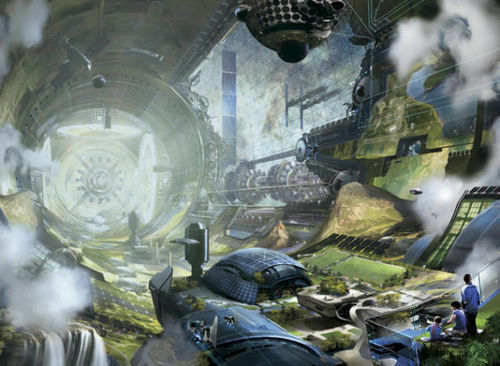 So it’s perhaps no surprise that when people find out about the 100-Year Starship project, which is designed to push humanity toward achieving what’s needed to actually be capable of interstellar travel within 100 years, many are excited — and want to sign up to go. 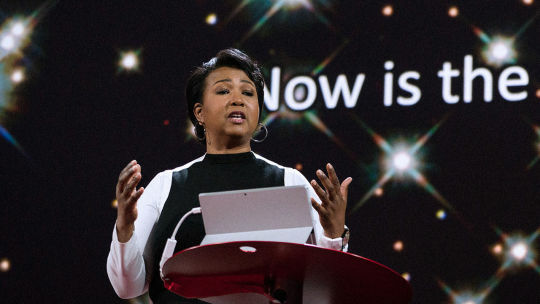 But Dr. Mae Jemison, the astronaut in charge of the NASA- and Darpa-funded 100-Year Starship, has some bad news for those eager to join an interstellar voyage. There are plenty of obstacles that we have to overcome before humanity might hypothetically be able to send a ship full of thousands to a distant star. We have to figure out how to create a vessel that can sustain itself for generations and provide everything needed for life. Plus, it has to have the power and speed to cross light years of ever-expanding space. But out of all the technical questions that must be answered and hurdles that must be jumped before we start on a project designed to make interstellar travel a real possibility, there’s one that stands out at the start, according to Dr. Mae Jemison, a former astronaut who’s now in charge of the 100-Year Starship organization. 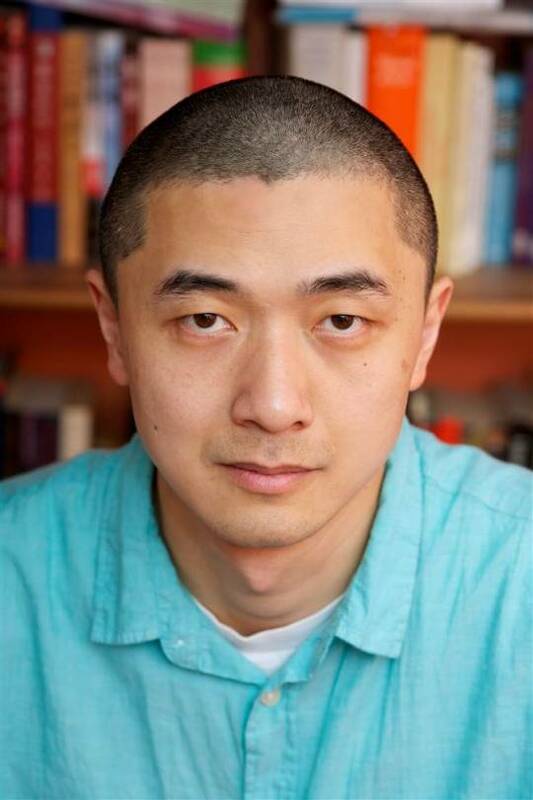 By day, Ken Liu is a litigation consultant, providing expert opinions and expert witness testimony in high-tech cases. By night, he is an award-winning author. His 2012 short story “The Paper Menagerie” was the first work of fiction to win all three major science fiction awards (Hugo, Nebula, and World Fantasy Awards), and his first novel, “The Grace of Kings,” was published last year. Its sequel, “The Wall of Storms,” will be released in October 2016. Ahead of Tuesday’s release of his latest short story collection, “The Paper Menagerie and Other Stories” — which includes his most popular works as well as a new story — Liu spoke with NBC News about storytelling, identity, and his advice for aspiring writers. How did you choose the stories for this collection? Are they grouped thematically, or was there another method of selection? That’s a good question. I would say that the stories are all very different in one sense. I don’t really care that much about genre labels. I tend to write across a variety of different genres. I think a lot of writers sometimes for marketing reasons, and also for personal interest, tend to build a strong brand that is very successful around one well-defined genre. I certainly have been writing stories that are hard science fiction, that are very reminiscent of “Golden Age tales” from the ‘40s and '50s. I’ve also written stories that are very high fantasy that are the direct opposite of that style. “The Paper Menagerie” is a magic realism tale and there are some magical realist tales in there, and there are also that are reminiscent of a modern Chinese writer like Han Zhu. If you go in there and expect that all the stories to be like “The Paper Menagerie” in the sense that you expect all magical realism tales that are about families, that is not what you are going to find. However I will also say that all my stories are unified by a certain humanist view of life, and of the universe. I write speculative fiction, and in my view, speculative fiction is really just a very intense version of the work of literature in general. All fiction and all literature are unified in that they operate by a different mode of rhetoric than persuasion. So when we write an essay or try to write a brief, or a letter to our boss, trying to argue for a point, what we’re doing is engaging in the logic of persuasion. And that’s the bulk of human communication. Fiction is a slightly different mode of communication where the logic of metaphors takes precedence over the logic of persuasion. Speculative fiction and realist fiction are both about the logic of metaphor. In speculative fiction, the writers and the readers tend to be more welcoming to metaphors that are literalized. In science fiction and fantasy both, I don’t think of them as really about science or magic per se. I think they’re techniques that are used in the story, but the stories are unified by the idea of the logic of metaphors, the literalizing of metaphors. In something like “Do Androids Dream of Electric Sheep,” the idea of empathy, of human connection, is literalized in the taking of the test that tells you whether you’re human or not. In “The Paper Menagerie” the love of the mother and her son are literalized in these paper animals that come to life. What do you think are problems specific to Asian-American writers? The problems faced by writers of color are analogous to the problems face by women writers. Sylvia Plath is famous for this, but a lot of women poets are very frustrated by the fact that their work can’t seem to be recognized as valuable unless they are willing to put themselves into it in a way that male writers don’t have to. Their work is only valuable as long as they’re treated as autobiographical confessions. And that was the mode I was trying to resist. So my initial set of works that I wrote were all very careful to not touch anything having to do with my Chinese heritage. I wanted to avoid the possibility of any characters in my book being interpreted as Chinese, or anything I say being interpreted as Chinese, because I wanted to avoid the idea that anything I wrote could be particularized and reduced into a mere autobiography, a mere confession, a mere ethnic color. I was going for a very non-Chinese mainstream Western presentation. And that ended up being extremely oppressive because it’s as though you’re trying to talk with one half of your mouth taped shut, or trying to dance with half your body paralyzed. I felt, if I’m avoiding saying things I know about and experiences that are deeply meaningful to me because I’m trying to avoid that type of interpretation, then I’m also letting these people dictate what I can or can’t write, and that’s not the right answer either. So over time I shifted to a different approach, where I’m very happy, and I’m very happy and active in integrating the so-called Chinese experience into my work, to give Chinese characters real voices, real agency, and real interpretation. But I want to do this in a way that challenges the Western gaze and ideas of what it means to be Chinese, or Chinese-American. There’s this persistence and harmful stereotype that views Americans of Chinese descent as divided between two cultures. There’s this idea that they’re struggling between the ideas of tradition and modernity, between Chinese and American, that they have to choose and the fact is that’s not the reality of how we live. That’s not how Americans of Chinese descent experience life. Every individual person has her own experience. We’re individuals, and we have our own particularized, cultural performance and cultural negotiation that we have to go through. It’s just reductive and silly and wrong to expect us to act out the fantasies of Western readers who imagine that there’s some sort of titanic conflict between cultures. That’s not my lived experience and that’s not the kind of story I’m interested in telling. What is the story that you are interested in telling? What’s interesting to me is to think about cultural labels, like “American” and “Chinese,” and think about why they are the way are and what they really mean. What I’ve discovered is that a lot of these labels are imposed by outsiders, and they’re not organic, and they have no reality in the experience of people living through them. There’s a lot of talk about authenticity of the Chinese-American experience, and whether that person presents in an authentic manner. “Authentic” is a label that outsiders impose on you. It’s not something that you have to perform to get a grade. When somebody says, “That restaurant’s really authentic,” they’re saying that restaurant adheres to their idea and their fantasy of what being Chinese really means. That has nothing to do with what an organic sense of authenticity of meaning in life really comes from. I believe that a lot of the ideas that are labeled as “Chinese” have very little to do with actually being Chinese, and a lot of labels that are labeled as “American” have very little to do with actually being American. A lot of my works challenge these ideas. You think an idea is Chinese, but it’s not, it’s universal. You think an idea is American, but it’s not, it’s actually universal. At the same time you think this is universal, but it’s not, it’s unique to a very privileged segment of society. So a lot of my work is about negotiating between privilege and the lack of power between dominant cultural narratives and subversive cultural narratives, between labels outsiders impose and the identities that are organically grown from within the community. A lot of my work tries to negotiate that bridge. I actually don’t like to identify myself as Chinese American. I don’t like the hyphenated identity at all because I think it reinforces the “person divided in half” narrative, which I think is false. I prefer to refer to myself as an American writer, and if people really want to put a label on it, I say I’m an American of Chinese descent. My Chinese heritage is very important to me, and I think it’s what makes me American, and so my stories are very American stories, but they’re about the full range of what it means to be American. Some writers like it, and they have empowered themselves by seizing on that hyphen. That’s perfectly fine. Everybody has to do it their own way. For me, the much more interesting narrative is the one about challenging these labels and their implications. You don’t write full-time. What’s your day job? I work as a litigation consultant with a large consulting company. My work is providing expert opinions and expert witness testimony in high-tech cases. I think a lot of writers have the dream of being able to do it full-time, and very few of us are able to do it. I don’t think that’s in the cards for me anytime soon. I’ve got two young kids at home. Writing is awesome, writing is wonderful, but we live in a world that’s governed by commerce and there’s a not a whole lot of that when you’re a writer! Do you see any parallels between the law and writing? I do see a lot of parallels in all the professions I’ve practiced. After I graduated from college, I worked as a programmer at Microsoft and at a small startup in Cambridge before I went to law school. I was a programmer before I was a lawyer, and I actually practiced as a corporate lawyer for seven years before switching over to do litigation consulting as an expert. So I was a programmer, then I was a lawyer, and now I’m a technical expert who helps attorneys and clients. All of these professions are very similar because all of them involve constructing new artifacts out of symbolic structures. There’s a British writer, W. Bryan Arthur, who has thought a lot about technology, and he’s a theorist of technology. And he says the way to think about technology is to treat it as a language. So technologies involve its own vocabulary, its own grammar. An engineer really is very analogous to a poet because an engineer is faced with a new problem, and what he has to do is to work with this repertoire of existing technologies, existing phrases and expressions and tropes within the language of technology. Then what she has to do is to compose them together into a new artifact to solve a new problem in the same way that a poet marshals illusions and metaphors and tropes and existing stock phrases and make them do something new n a new in poem. In the same way a lawyer has to solve novel problems by taking existing legal precedents and legal stock phrases and legal reasoning and puts them together into a new legal structure that will achieve the result that is desired. Writing fiction is the same way. What we do is to work with these ancient tropes and put them together in a novel way, something that feels new, to give a reader a new emotional experience. I think of engineering as a very creative profession, and writing fiction a lot of the time is like programming, like engineering, like writing a contract. One way is to look at it as inspiring, the other is despair. I don’t know which is better! Practically speaking, what really happens is I have to pick the projects I do really carefully. I don’t have a lot of time to write. The job is really demanding, but also I want to be a good father and a good husband. So when I have very young children at home and my wife is trying to deal with them, I have to pick up my share and spend time with them. And that’s time that has to be carved out and reserved. For writing, there’s very little time left, so I have to be efficient. I have to plan out and say, “Look. There are all these anthologies that are open for submission. I could write for all of them but that’s just not going to happen. So I have to just pick one I could make a really good contribution to and write for that. And for novels, some writers write very fast and can do two, three novels a year. I’m not that kind of writer. I neither have the time nor the speed necessary to do that. I can do one book a year, so it better be a book I want to spend a lot of time and I can devote and live with in the limited time I have. It’s a matter of making choices. Steve Jobs, when he was alive, would say that Apple is very good at saying no to things. They pick a few things they want to work on, and do them well, but they say no to a lot of things people wish they would do. There are many any things that are increasing and seem like good ideas but I have to be very careful about picking a few ideas I can devote my attention to and do them well. The best writing advice I’ve ever heard is from Tobias Buckell, a fellow writer and a friend. He said that the thing about writing is you have to figure out the difference between goals and the things you would like to have happen to you. A lot of the unhappiness we experience as creative types is that we think and set goals for ourselves that are not actually goals at all, but things we would like happen to us. The difference is goals are things that are entirely within your control. Things you would like to happen to you are not within your control at all, so if you set those things as your goals you’re going to be disappointed because you those are things you can’t even do and strive to make happen to you. For example, a goal would be, “I will use this next year to complete three short stories.” That’s a goal, because sitting there and writing, and setting aside the time to read, to outline, to write, to revise, to edit, those are things you can control. You can decide how to spend your time. But if you decide your goal is “I would like to be professionally published,” or “I would like to sell my novel this year,” that’s not a goal. Getting your story published requires a publisher to accept it, and markets will accept or reject stories for any reason in the world. That’s not within your control. Whether you can sell your novel, or whether it will be a best seller, or win an award. All these things are nice things that you would like happen to you, but none of them are within your control, and setting these things as your goals will make you very unhappy, because you can’t control them. We tend to do well when we feel like we’re in charge of our own destiny, when we feel we’re in charge of our own lives. I think it is also true that you also have to know who you are. It’s important to learn what kind of writer you are over time. Different people will like different things. It’s okay for you to write things that are just pleasing yourself, and not chasing the market, because no one really knows where the market is, and chasing that is a loser’s market. Ultimately, you should work on things that are of interest to you and ignore everything else, because everything else is just noise. I had a story that I absolutely loved, and it couldn’t be sold for seven years. Ultimately I did sell it, and I sold it to an anthology that specialized in taking things that had been rejected many times before, so there’s always hope! You simply cannot count on the external validation as the thing to motivate you. To get to humans out of our solar system, we would need innovation in almost every aspect of technology, health, and social science, she says: energy, propulsion systems, farming, microbiology, religion, nutrition, and psychology, to name only a few. 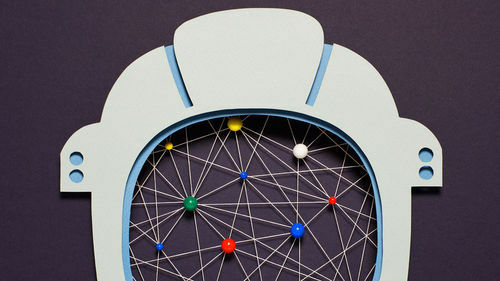 The biggest challenge would be solving challenges of human behavior—how do you organize social structures when the people on board will be isolated for decades? 100YSS Educator and 100YSS Class Instructor, Bobby Farlice Rubio speaks to WCAX in Burlington, VT on his experience at the 2015 Public Symposium. HOUSTON/SANTA CLARA, Calif., October 30, 2015 – 100 Year Starshipâ (100YSSâ) this evening announced the winners of the inaugural 2015 Canopus Award honoring excellence in interstellar writing. Prizes were given in four categories – Previously Published Long-Form and Short-Form Fiction, and Original Fiction and Non-Fiction – to works that contribute to the excitement, knowledge, and understanding of interstellar space exploration and travel. 100YSS is the independent, long-term global initiative led by former astronaut Dr. Mae Jemison to ensure the capabilities for human travel beyond our solar system exist within the next 100 years and the advances are applied to enhance life here on Earth every step of the way. The winners were announced during Science Fiction Stories Night at 100YSS’s fourth annual public symposium held this year in the heart of Silicon Valley, at the Santa Clara Marriott in Santa Clara, Calif., October 29-November 1. The judges include writer and 100YSS Creative and Editorial director Jason Batt; author and former Wall Street Journal reporter August Cole; Founder of International Speechwriting Associates Kathleen Colgan; teacher at the University of Edinburgh in the School of Education and Leadership, Janet DeVigne; editor Jaym Gates; 100YSS Principal and former astronaut Mae Jemison, M.D. ; Chapman University creative writing student Alec Medén; Rutgers University Professor Ronke Olabisi, Ph.D.; faculty and advisor to the Singularity University David Orban; Georgia high school freshman Bailey Stanley; writer and anthropologist Juliette Wade, Ph.D.; Aeronautical and Astronautical engineer Paul Webber; journalist Sofia Webber;astrobiologist and creator of Yuri’s Night Loretta Whitesides; and Major General Ken Wisian. For more information about the Canopus Award, visit http://100yss.org/initiatives/canopusaward. HOUSTON/SANTA CLARA, Calif., October 22, 2015 – Where are we on the road to Earth 2.0? Learn more from SETI Institute co-founder Dr. Jill Tarter and former NASA Ames Center Director and current Breakthrough Listen chair Dr. Pete Worden at “The State of the Universe” during the 100 Year Starship® (100YSS®) fourth annual public symposium in Silicon Valley from October 29-November 1, at the Santa Clara Marriott in Santa Clara, California. 100 Year Starship® (100YSS®) is the independent, long-term global initiative led by former astronaut Dr. Mae Jemison to ensure the capabilities for human travel beyond our solar system exist within the next 100 years and the advances are applied to enhance life here on Earth every step of the way. On Saturday morning, October 31, Dr. Tarter will lead a discussion focusing on the latest finds in astronomy and space technology, helping to pave the road leading to Earth 2.0. 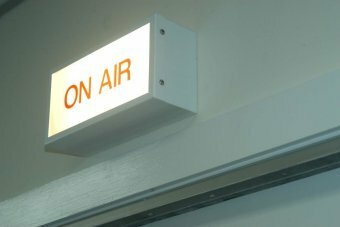 Dr. Worden will discuss Breakthrough Listen, the $100 million funded project to listen for radio signals of intelligent life. Additional experts will address biosignatures, exoplanets, new telescopes, and how the geological formation of Earth 1.0, our plant, ties together with the evolution of life. With the timely theme of “Finding Earth 2.0,” the symposium invites the public to explore the game-changing processes required to indisputably find a planet outside our solar system capable of supporting Earth-evolved life. Symposium attendees will examine what specific capabilities and systems—scientific, technical and societal—will be needed and impacted over the next five to 25 years to definitively identify at least one Earth 2.0. A powerful four-day event, the symposium will feature experiences involving transdisciplinary approaches that require attendees to stretch their imaginations and appreciate today’s cutting-edge technologies. They will be challenged to discuss and take action on thought-provoking frontiers of science, civilization, space, technology, society, music and art, both now and in the future. Organized by the global 100YSS team, the 2015 Public Symposium will bring together experts, enthusiasts, students, celebrities, innovators, educators, and thought leaders from around the world. Other participants include renown scientists, thinkers, artists, policy makers and celebrities like George Whitesides, CEO, Virgin Galactic; Mickey Fisher, Creator, EXTANT; Lou Friedman, Ph.D. astronomer and co-founder of the Planetary Society; Mae Jemison, M.D., physician, engineer and entrepreneur; Hakeem Oluseyi, Ph.D., TED Fellow and Chief Science Officer, Discovery Channel; Amy Millman, CEO and co-founder Springboard Enterprises; Mmboneni Muofhe, Deputy Director, South African Department of Science and Technology; Pam Contag, Ph.D., CEO, Molecular Sciences Institute; and, Kurt Zatloukal, M.D., Professor, Medical University of Graz (Austria), among others. HOUSTON/SANTA CLARA, Calif., October 20, 2015 – Award-winning authors and social and physical science experts will gather at Science Fiction Stories Night and honor winners of the first annual Canopus Awards for Interstellar Writing on Halloween Eve during 100 Year Starship’s ® (100YSS®) fourth annual public symposium in Silicon Valley from October 29-November 1, at the Santa Clara Marriott in Santa Clara, California. 100 Year Starship® (100YSS®) is the independent, long-term global initiative led by former astronaut Dr. Mae Jemison to ensure the capabilitie for human travel beyond our solar system exist within the next 100 years and the advances are applied to enhance life here on Earth every step of the way. Science fiction frequently leads to science fact. In fact, the extremes of scientific discovery today fuel the imagination and possibilities for science fiction writers tomorrow who catapult them into our collective realm of possibility with their stories. Join the discussion on Science Fiction Stories Night with awarding winning authors, including Nebula Award winner Pat Murphy (The Falling Woman, Bones, and Points of Departure); Juliette Wade (short fiction published in Analog Magazine and Clarkesworld); Brenda Cooper (Edge of Dark and Beyond the Waterfall Door); and, Jacob Weisman, publisher of Tachyon (titles have won the Nebula, Hugo, Sturgeon, Locus, Mythopoeic and World Fantasy Awards). Other participants include renown scientists, thinkers, artists, policy makers and celebrities like George Whitesides, CEO, Virgin Galactic; Mickey Fisher, Creator, EXTANT; Lou Friedman, Ph.D. astronomer and co-founder of the Planetary Society; Jill Tarter, Ph.D., co-founder of SETI Institute, astronomer and TED Prize winner; Mae Jemison, M.D., physician, engineer and entrepreneur; Hakeem Oluseyi, Ph.D., TED Fellow and Chief Science Officer, Discovery Channel; Amy Millman, CEO and co-founder Springboard Enterprises; Mmboneni Muofhe, Deputy Director, South African Department of Science and Technology; Pam Contag, Ph.D., CEO, Molecular Sciences Institute; Pete Worden, Ph.D., Chairman, Breakthrough Prize Foundation and former Director, NASA Ames; and, Kurt Zatloukal, M.D., Professor, Medical University of Graz (Austria), among others. HOUSTON/SANTA CLARA, Calif., October 12, 2015 – Mickey Fisher, creator of the CBS space drama series EXTANT, will speak at the 100 Year Starship® (100YSS®) fourth annual public symposium in Silicon Valley from October 29-November 1, at the Santa Clara Marriott in Santa Clara, California. On Saturday night, October 31, Fisher will participate in Accelerating Creativity, a program that examines Artificial Intelligence and how the interplay between the sciences and art push ideas and advancements in innovation, society and space exploration. The program, which is open to the public, includes a screening of the short film, Project Kronos, an imaginative documentary that poses an unusual solution to the overwhelming data and computational challenges of interstellar exploration. Following the formal program, 100YSS will host a Halloween Party, featuring a cosmic trick or treat and scavenger hunt, Miss Q Space Cat, light show, DJ and music, and other activities. Other participants include renown scientists, thinkers, artists, policy makers and celebrities like George Whitesides, CEO, Virgin Galactic; Lou Friedman, Ph.D. astronomer and co-founder of the Planetary Society; Jill Tarter, Ph.D., co-founder of SETI Institute, astronomer and TED Prize winner; Mae Jemison, M.D., physician, engineer and entrepreneur; Hakeem Oluseyi, Ph.D., TED Fellow and Chief Science Officer, Discovery Channel; Amy Millman, CEO and co-founder Springboard Enterprises; Mmboneni Muofhe, Deputy Director, South African Department of Science and Technology; Pam Contag, Ph.D., CEO, Molecular Sciences Institute; Pete Worden, Ph.D., Chairman, Breakthrough Prize Foundation and former Director, NASA Ames; and, Kurt Zatloukal, M.D., Professor, Medical University of Graz (Austria), among others. HOUSTON/SANTA CLARA, Calif., October 1, 2015 – 100 Year Starship® (100YSS®), the independent, long-term global initiative led by former astronaut Dr. Mae Jemison that is ensuring the capabilities for human travel beyond our solar system exist within the next 100 years, will host its fourth annual public symposium in the heart of high-tech innovation and “blue sky” thinking from October 29-November 1, at the Santa Clara Marriott in Santa Clara, California. Participants include renown scientists, thinkers, artists, policy makers and celebrities like George Whitesides, CEO, Virgin Galactic; Lou Friedman, Ph.D. astronomer and co-founder of the Planetary Society; Jill Tarter, Ph.D., co-founder of SETI Institute, astronomer and TED Prize winner; Mae Jemison, M.D., physician, engineer and entrepreneur; Hakeem Oluseyi, Ph.D., TED Fellow and Chief Science Officer, Discovery Channel; Amy Millman, CEO and co-founder Springboard Enterprises; Mmboneni Muofhe, Deputy Director, South African Department of Science and Technology; Pam Contag, Ph.D., CEO, Molecular Sciences Institute; Pete Worden, Ph.D., Chairman, Breakthrough Prize Foundation and former Director, NASA Ames; and, Kurt Zatloukal, M.D., Professor, Medical University of Graz (Austria), among others. ● What’s Right for Life? ● Who’s Got Next (in Space)? During technical tracks, papers will be presented on Energy and Propulsion; Data, IT & Communications; Health, Life Sciences and Bioengineering; Designing for Interstellar; Becoming an Interstellar Civilization; and, Destinations. There also will be networking opportunities and a poster session. ● Science Fiction Stories Night (Friday, October 30) will feature the inaugural Canopus Awards for Excellence in Interstellar Writing™ reception, as well as discussions and book signings with award-winning authors and social and physical science experts. 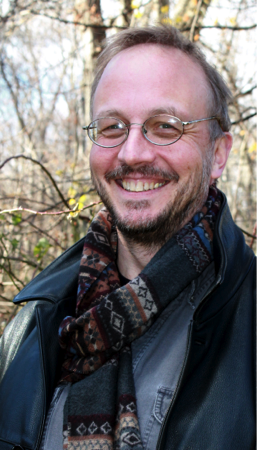 Confirmed authors include Juliette Wade (short fiction published in Analog Magazine and Clarkesworld); Jacob Weisman, publisher of Tachyon (titles have won the Nebula, Hugo, Sturgeon, Locus, Mythopoeic and World Fantasy Awards); and, Nebula Award winner Pat Murphy (The Falling Woman, Bones, and Points of Departure). ● Accelerating Creativity (Saturday, October 31) will consider Artificial Intelligence and the interplay between the sciences and art to push ideas and advancements in innovation, society and space exploration. Following the formal session, 100YSS will host a Halloween Party, featuring light show, DJ and music, Miss Q Space Cat, a cosmic trick or treat scavenger hunt, and other activities. ● Individual tickets are also available for luncheons on Friday and Saturday (speakers to be announced). HOUSTON, September 23, 2015 — 100 Year Starshipâ (100YSSâ) today announced the finalists in the inaugural Canopus Award for Excellence in Interstellar Writing. The Canopus Award is an annual writing prize recognizing the finest fiction and non-fiction works that contribute to the excitement, knowledge, and understanding of interstellar space exploration and travel. Winners will be announced and honored on Friday, October 30, 2015 during the 100 Year Starship 2015 Public Symposium held at the Santa Clara Marriott, in Santa Clara, California October 29-November 1, 2015. The finalists (listed in no particular order) in the four award categories are listed below. Judges for the Canopus Award are: writer and 100YSS Creative and Editorial director Jason Batt; author and former Wall Street Journal reporter August Cole; Founder of International Speechwriting Associates Kathleen Colgan, Ph.D.; teacher at the University of Edinburgh in the School of Education and Leadership, Janet DeVigne; editor Jaym Gates, 100YSS Principal and former astronaut Mae Jemison, M.D., Chapman University creative writing student Alec Medén; Rutgers University Professor Ronke Olabisi. Ph.D.; faculty and advisor to the Singularity University David Orban, Georgia high school freshman Bailey Stanley, writer and anthropologist Juliette Wade, Ph.D.; Aeronautical and Astronautical engineer Paul Webber; journalist Sofia Webber; astrobiologist and creator of Yuri’s Night Loretta Whitesides; and Major General Ken Wisian. For more information about award criteria, visit http://100yss.org/initiatives/canopusaward. HOUSTON, July 27, 2015 — 100 Year Starshipâ (100YSSâ) today announced the first slate of judges for the 2015 Canopus Award, an annual writing prize recognizing the finest fiction and non-fiction works that contribute to the excitement, knowledge, and understanding of interstellar space exploration and travel. The judges include writer and 100YSS Creative and Editorial director Jason Batt, author and former Wall Street Journal reporter August Cole, editor Jaym Gates, 100YSS Principal and former astronaut Mae Jemison, M.D., Chapman University creative writing student Alec Medén, Rutgers University Professor Ronke Olabisi. Ph.D., Georgia high school freshman Bailey Stanley, anthropologist Juliette Wade, Ph.D. and Flight Director for Zero G Corporation, Loretta Whitesides. (See attached for brief biographical sketches). MR. JASON BATT serves as Creative and Editorial manager for 100 Year Starship. Mr. Batt creates visual engagement for 100 Year Starship programs and activities. His short fiction has appeared in Bastion Magazine, Bewildering Stories, and in the upcoming anthologies Visions of the Future and Genius Loci. His most recent book, Young Gods, a young adult urban fantasy, was published by Realmwalker Publishing this last summer. His children’s series, Tales of Dreamside, will be re-released this upcoming fall. MR. AUGUST COLE is a writer and analyst specializing in national security issues, and a former defense industry reporter for the Wall Street Journal. His most recent book Ghost Fleet, written with P. W. Singer, looks at future of the next global conflict. MS. JAYM GATES is an editor, author, and crisis communications specialist. She is the former Communications Director for the Science Fiction and Fantasy Writers of America, and has written extensively for science fiction and fantasy in many categories, from academia to gaming. DR. MAE JEMISON, M.D. is the Principal for the 100 Year Starship Project. Her leadership and vision provides guidance and direction for the organization in fulfilling its goal of ensuring all the capabilities for a successful human journey to another star will exist by 2112. Dr. Jemison, physician, engineer, educator and entrepreneur, the first woman of color in the world to go into space aboard the Space Shuttle Endeavour, served as a NASA astronaut for six years. She is the author of several children and young adult fiction and nonfiction books and was a professor of Environmental Studies at Dartmouth College. MR. ALEC MEDÉN is a lifelong lover of science fiction and science fact, especially in the context of space exploration. He is a Junior majoring in Creative Writing and Screenwriting at Chapman University; currently working on an anthology of short stories. He recently won the Atlantic Council’s Art of Future Warfare Project’s Space Conflict Writing Contest. RONKE OLABISI, PH.D. is an Assistant Professor in the Biomedical Engineering Department of Rutgers University. Dr. Olabisi’s current research interests include orthopedic tissue engineering and regenerative medicine for injury, aging, disease, and space flight. Her PhD research centered on limb lengthening: (1) muscle and joint function; (2) the elastic and viscoelastic properties of tendons; and (3) the histomorphology (cell structure) of lengthened tissue. DAVID ORBAN is a member of the Faculty of, and Advisor to the Singularity University, an interdisciplinary university whose mission is to assemble, educate and inspire leaders who strive to understand and facilitate the development of exponentially advancing technologies in order to address humanity’s grand challenges. He is also an entrepreneur, the Chief Innovation Officer of Dotsub, the leading technology and services provider powering video viewing via captions and translations as subtitles in any language to increase access, engagement and global reach, based in New York City. MS. BAILEY STANLEY is a high school freshman in Georgia. She has a love for all her studies but enjoys leisurely writing the most. She notes that her family has supported her through her efforts and she will be working on student-led initiatives through 100 Year Starship. LORETTA WHITESIDES has over five hours of weightless time in a 727 aircraft as a Flight Director for Zero-G Corporation. She and her husband George Whitesides are also signed up to take a sub-orbital spaceflight on Virgin Galactic’s SpaceShipTwo. Trained as an astrobiologist at Stanford and Caltech, Loretta has been to the Canadian Arctic to study plant life in extreme environments and to the hydrothermal vents at the bottom of the ocean with “Titanic” director James Cameron to film a 3D IMAX documentary, “Aliens of the Deep.” Loretta’s passion is helping the space community create the culture of the sci-fi future as well as the cool spaceships. HOUSTON, July 28, 2015 — 100 Year Starshipâ (100YSSâ) today announced the establishment of the Canopus Award, an annual writing prize recognizing the finest fiction and non-fiction works that contribute to the excitement, knowledge, and understanding of interstellar space exploration and travel. Pushing radical leaps in knowledge, technology design and human systems, the fourth annual 100 Year Starship 2015 Public Symposium will be held in Silicon Valley—a world epicenter of high tech innovation and big thinking— October 29- November 1, 2015. Real time, precise directions from your phone. l Ultra-light weight high temperature insulation. l Insight into the first seconds of the universe using particle accelerators. l A wholly connected world. Just a sampling of the intersection of audacious space exploration and the bold genius, high stakes thoughts and cutting edge innovation of Silicon Valley! 100 Year Starship (100YSS) invites us to think even bigger; to create the advances in science, engineering, bold social, economic and cultural commitments necessary to explore deep space beyond our solar system and improve life on Earth—today. The Symposium is a powerful four-day event of global, transdisciplinary experience of imagination, hands-on programs, thought-provoking discussions and action on the frontiers of science, civilization, space, technology, society, music, art and our present and future. Chaired by Dr. Mae Jemison, the 2015 Public Symposium brings together experts, enthusiasts, students, celebrities, innovators, educators, and thought leaders from around the world. The 100YSS Public Symposium has grown tremendously— it is alive with unforgettable events! State of the Universe, features leading scientists and engineers in astronomy, astrophysics and space related fields in dialogue of what’s new that the public should know. Trending Now engages thought leaders in new areas of research and fields of development from the bioengineering lab to investment banking that are in the news and have the potential to positively (or negatively) impact our future. Radical Leaps is an exhilarating session that explores game-changing engineering and systems that are possible within the next 10 to 15 years. Attendees are then able to choose a session to explore in even more depth immediately after the introductory presentations. Oral, written papers and posters presented during the Tech Tracks are central to 100YSS and the Symposium. The Tech Tracks provide a forum for attendees from academia, business and other institutions to explore in-depth concepts, ideas and questions in the subject areas needed to achieve all the capabilities required for a human interstellar journey as well as the application of such capacity to enhance life here on Earth. From energy and propulsion to education, design, economics, medicine and bioengineering, to astrophysics, IT, communication and policy, the tracks are chaired by discipline and subject matter experts and while open submission, the presentations are chosen for merit, novel approaches, applicability and thoughtfulness. After the Symposium the papers presented are edited and include in the Symposium Proceedings. Story-telling and fiction enables us to imagine technology advances, failures and consider the pros and cons of different societies. 100YSS convenes noted authors and scientists to provide diverse and inclusive voices and an audience to discuss the critical importance of a compelling story well told. Join leaders from Silicon Valley and 100YSS Public Symposium participants from around the world for a spectacular evening to consider how the arts and science push and pull one another. All are welcome! The classes are comprised of highly curated information, taught by subject matter experts and are formatted to engage and enlighten all attendees. Topics include among others: Propulsion: Proven, Probable, or Preposterous? ; Leaving the Nest, with a focus on Life Sciences; The Very, Very Big Picture on Space Sciences; Society and Culture; and International and Interstellar Best Practices in Education. 100 Year Starship® is building a movement to achieve the capabilities that will take humanity beyond our solar system and better our home planet. 100YSS is an independent, non-governmental initiative. 100YSS was founded in 2012 with seed funding won in a competitive grant from DARPA (Defense Advanced Research Projects Agency) and support from NASA (National Aeronautics and Space Administration) for the purpose of fostering the type of explosive innovation and social advances born from addressing such a grand challenge. 100YSS is an initiative of the Dorothy Jemison Foundation for Excellence. For more information, visit www.100yss.org. 100YSS’ goal: An audacious journey to transform life here on earth and beyond. On The Long Trip To Mars, What Will Astronauts Eat? 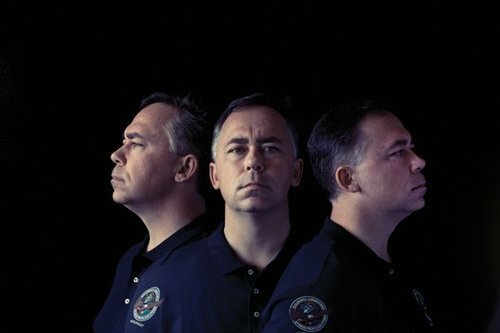 Houston Chronicle writer, Dan Oko explores what it really takes to feed astronauts’ body and mind on a trip to Mars. 100YSS contributors share insights about food for long term space travel. Karl Aspelund, PhD and David Wilson, former NASA Intern provide commentary about the psychology and culinary experience of food in space. We may want a lemon meringue pie, but it just may not work out that way. The [email protected] HUB, a partnership between 100YSS and ISC Intelligence in Science, a Brussels-based science and technology public policy firm, will support the European Union’s commitment to enable European competitiveness, non-dependence, and innovation in space activities and the application of space exploration technologies to address many of the global challenges confronting the world today. “The European Union has identified space as a key programme area in Horizon 2020. Building the kind of robust space enterprise the EU envisions, requires transatlantic science collaboration, the very potent ingredient the [email protected] HUB offers us,” said Declan Kirrane, Managing Director, ISC Intelligence in Science. According to Kirrane, the [email protected] Hub will support the EU’s research and exploration projects through a variety of initiatives. They include collaborative international projects in basic sciences and cutting edge space technology and their commercial application including in developing countries; support of bold STEM initiatives such as R&D and innovation accelerator centers; transdisciplinary programs and workshops; international advocacy and best practice STEM education programs; and robust outreach that galvanizes public support. The [email protected] Hub marks the first such Hub created by 100YSS. Another Hub is soon to be established in South Africa with the Da Vinci Institute. Both Hubs are part of a global network of research and innovation centers 100YSS is building whose activities include transatlantic collaborations and partnerships with Africa and other emerging regions. The centers partner with governments, industry, academia, and social sector organizations worldwide. Led by Dr. Jemison, 100YSS is an inclusive initiative. It fosters an approach that first recognizes and then both optimally employs and develops the skills, talents, expertise and perspectives of individuals across gender, ethnicity, race, geography and disciplines. As the first African American woman to travel in space (1992’s Space Shuttle Endeavour), Dr. Jemison brings to her leadership role her vast experience as an engineer, physician, former Peace Corps medical officer, and entrepreneur. Jemison is joined in 100YSS by an impressive cadre of physical, life and social scientists, engineering researchers, entrepreneurs, policy experts, educators and university professors, media professionals, writers and artists. 100 Year Starship® (100YSS), an independent, non-governmental, long-term initiative to ensure the capabilities for human interstellar flight exist as soon as possible, and definitely within the next 100 years. 100YSS was started in 2012 with seed-funding through a competitive grant from DARPA (Defense Advanced Research Projects Agency) and support from NASA (National Aeronautics and Space Administration) for the purpose of fostering the type of explosive innovation and technology and social advances born from addressing such an incredible challenge. 100YSS is part of the Dorothy Jemison Foundation for Excellence. For more information, visit www.100yss.org. 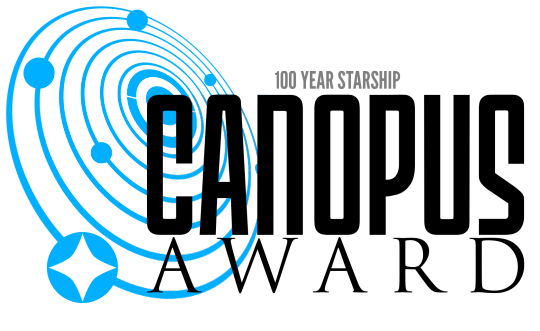 ISC is a Brussels-based communication firm specialized in science, technology and R&D research and policy. ISC provides intelligence on science and innovation policy and programs and has over a decade of experience in science communication at the European and international levels. For more information, visit http://www.iscintelligence.com/. With the release of the new sci-fi block buster ‘Interstellar’ we’ve decided to take a look at the real science behind interstellar travel as humankind once again dreams of the stars. As a species we have made some amazing technological advances over the last 200 odd years. With break through after break through being announced every month, you can’t help but dream of amazing things for the future, but it’s not all good news. Climate change and pollution are real and present dangers that the world seems incapable of solving, which is the plot of Interstellar. Nothing motivates like total destruction. Back in the real world, we’ve been dreaming of travelling to the stars since Sputnik, but we quickly realised that despite our advanced technologies we still had a long way to go. There is even a meeting held every year to discuss/debate the challenges, risks and technologies required to begin colonizing other solar systems called the 100 Year Starship Symposium. Don’t think for a second that this is a group of teenage nerds discussing Star Trek episodes. This is a high-level discussion group designed to get humans to the stars. NASA and DARPA are involved so it’s credible, but what are the most pressing issues that we have to overcome to truly become an interstellar species? The fighter squadron’s 37-year-old commander suddenly started refusing to fly at high altitudes because of mysterious breathing problems. He also struggled to control feelings of wrath toward his coworkers, and that made him hyperventilate. It was only later that the commander would tell a Navy psychologist what really triggered him: That while flying at the edge of the troposphere, “a frightening feeling of detachment” set in. There, in the halo of thin silence surrounding the earth in 1956, he didn’t trust his own mind not to self-destruct. 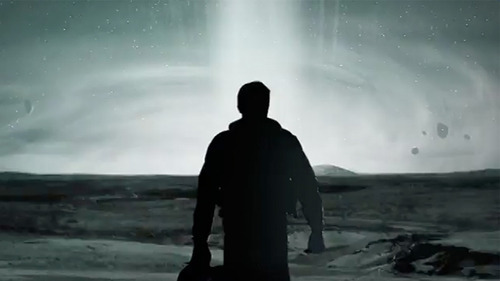 Christopher Nolan's Interstellar imagines a human journey to planets beyond our star. But that kind of trip would seem impossible in today’s terms. Fortunately, a DARPA-funded task force is already working to make it happen in the next century. Mae Jemison, leader of the 100 Year Starship Project (100YSS) told Popular Science that enormous challenges stand between human beings and colonizing a distant star system. But she believes 100YSS can bring together the diversity and creativity of invention necessary to make it happen. 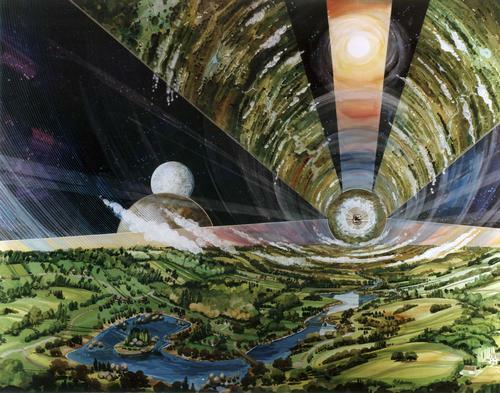 What Will It Take to Become an Interstellar Civilization? Still, that hasn’t stopped researchers from trying. Last month, a bunch of rocket scientists, microbiologists and entrepreneurs gathered in Houston’s George R. Brown Convention Center to discuss—in level and serious tones—how to become a spacefaring civilization. The meeting is called the 100-Year Starship symposium, and it’s brought brains together once a year since 2011 to figure out what we need to do now if we want to have an interstellar spacerocket a century from now. Until Sandra Bullock slithered out of her space suit to reveal a tank top and short shorts in “Gravity,” fictional space travelers from “The Jetsons” to “Star Trek” had dressed pretty much alike, in form-fitting tops and pants. But the real-life astronauts on the International Space Station float around in polo shirts and cargo pants. Which is better? Or, is it neither? Suppose you’re going to be stuck in those clothes for a really long time, like the years it would take for a mission on Mars? University of Rhode Island’s Karl Aspelund is on a mission to answer those questions, participating in The 100 Year Starship Initiative, which is working to achieve interstellar flight within 100 years. Centauri Dreams writer Paul Glister provides recaps on the 100YSS 2014 Public Symposium three-day event. 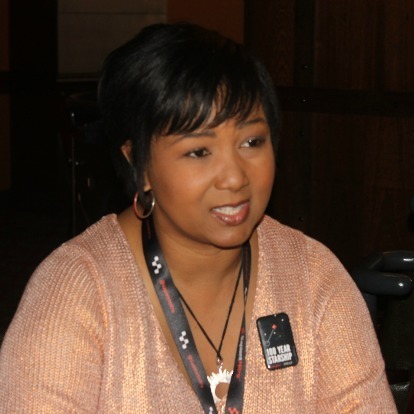 Host Craig Cohen interviews Dr. Mae Jemison about 100 Year Starship and Interstellar human space flight. i09: What will it take to build a space colony? Before humans start living in space on a regular basis, there’s a lot of basic science and political agendas that need to advance. We talked to scientists and experts about the fundamental things they think we should do right now, if we want to have a space colony in the next 100 years. Dr. Jill Tarter is interviewed by Popular Science Magazine. In the search for extraterrestrial intelligence (SETI), people typically seek messages, not send them. Think Jodie Foster in the movie Contact as an alien signal pulses in her headphones. 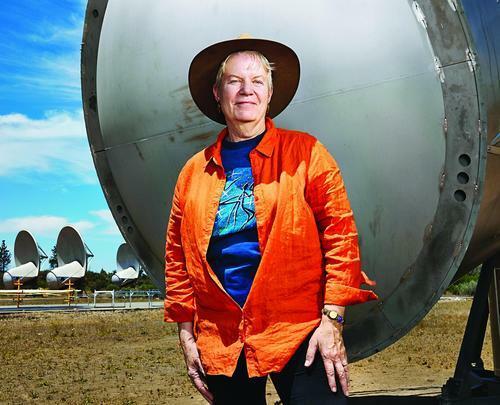 The inspiration for Foster’s character, astrophysicist Jill Tarter, wants to help make future humans the kind of talkative interstellar society she has spent the past 38 years trying to find. This paper was first presented at the 100YSS Public symposium. Arvix paper contends the spacetime distortions resulting from the experimentally obtainable electric field of a parallel plate capacitor configuration cannot be detected by the White-Juday Warp Field Interferometer. Any post-processing results indicating a vanishing, non-zero difference between the charged and uncharged states of the capacitor are due to local effects rather than spacetime perturbations. National radio show hour includes a interesting segment on interstellar with Dr. Mae Jemison and other experts. This article was published in the SFWA 2014 Nebula Awards Bulletin under the title Sci-Fi and Science. Since I was a little girl, I have been an avid reader of science fiction. I loved witnessing science fiction predict technologies. I first saw flat screen monitors, flip phones, and e-readers on the different incarnations of Star Trek, decades before they became reality. I first read of virtual reality in Neal Stephenson’s Snow Crash. To me, Google Glass is just a slicker version of Luke’s targeting viewer he stowed away before destroying the Death Star. I cannot say which came first — a love of science or a love of science fiction. Regardless, they fueled one another and propelled me into a career in engineering. As an engineer, I began to realize that a good portion of science fiction would better be called “engineering fiction,” or “technology fiction.” Someone once described the distinction between scientists and engineers as follows: “scientists look for questions; engineers look for answers.” I’d always found that explanation a little abstract and came up with my own: science is about discovery; engineering is about invention. Science seeks to describe observable phenomena while engineering seeks ways to apply those phenomena. Science (physics) described and therefore predicted that the stimulated emission of radiation would produce the laser; engineers invented the cashier scanners, the laser pointers, and the CD/DVD/Blueray players that employ lasers. Once invented, these become part of our technology. Madeleine L’Engle’s A Wind in the Door describes the fictional farandolae as sentient creatures within mitochondria responsible for the energy production within our cells — this is fictional science. Crichton’s Andromeda Strain and Petersen’s Outbreak are also about fictional medical science. Yet there are a large number of science fiction books and films that do not actually delve into fictional science, but describe fictional technology. Starships are technology, warp drive engines are technology — warp drive theory, on the other hand, that is fictional science. In matter of fact, there are scientists who are investigating a type of warp drive known as Alcubierre warp drives. But there are many more engineers that are inventing and designing technology that some science fiction book or film inspired them to realize. Perhaps I am biased because I myself am an engineer, but I do not see science fiction as influencing science as much as it influences engineering. As a child, I thought that science fiction predicted technology. I did not realize it inspired technology. Martin Cooper, the inventor of the mobile phone credits Captain Kirk for being his inspiration. Tom Swift and his Electric Rifleinspired NASA researcher Jack Cover to invent the Taser (T.A.S.E.R., an acronym for “Thomas A. Swift’s Electric Rifle”). And the worldwide web? Its creator, Tim Berners-Lee, credits Arthur C. Clark’s world of sentient networked computers in Dial F For Frankenstein as his inspiration. If the perspective is that science discovers and describes existing phenomena, then science fiction can have very little impact on science — either a farandola exists or it doesn’t. If the perspective is that science fiction influences the direction of scientific inquiry, that is harder to answer — are we looking for microbial life on Mars because War of the Worlds planted the seed of thought, or is that the direction that astrobiology would have gone anyway? If the perspective is that science fiction influences engineering and technology, well–that is a provable fact. And as a science-fiction-loving engineer, I couldn’t be prouder. Note: This article was published in the SFWA 2014 Nebula Awards Bulletin under the title Sci-Fi and Science. An interview with Dr. Mae Jemison, Principal of 100YSS with New Europe. 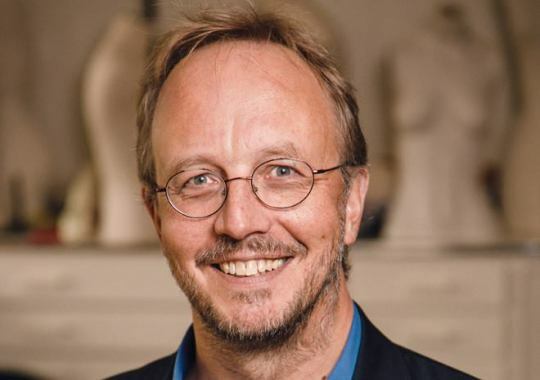 Karl Aspelund is an assistant professor in the Department of Textiles, Fashion Merchandising and Design at the University of Rhode Island. His primary interests lie in examining the role textiles and design play in the creation of identity, the impact of the textile life-cycle on the Earth’s environment, and how the design community can contribute to the goal of environmental sustainability. He is now turning toward investigating the design and cultural needs and constraints of clothing in long-term space exploration. Aspelund was recently awarded a $15,000 grant from URI’s Council for Research to begin background research for the project, with the hope of eventually creating guidelines and prototypes. Has humanity stopped looking to the future with hope? Sometimes it feels like we’re so embroiled in the struggle over whether we’ll despoil our environment or dismantle all our safety nets in the next few years that we can’t look toward what life might look like in decades, much less a century and imagine things better than they are right now. Yet looking toward our far future helps us think about things now in a new light. One reason is that trying to solve very big problems forces us to fix a lot of smaller ones along the way. 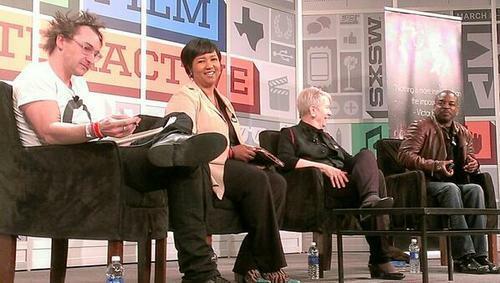 Report from SXSW: Madame Noire speaks with Dr. Mae Jemison about taking the world to the future. SXSW provided the opportunity to catch up with astronaut and the first African-American woman in outer space, Dr. Mae Jemison. Her presence leaves everyone in awe of her beautiful mind. Today, she has the responsibility of leading the 100 Year Starship project. This might sound like something from a science fiction novel: Dr. Jemison’s role in the 100 Year Starship project is to help change the world by leading an effort to send and sustain humans in interstellar space travel within the next 100 years.